We can make your future come together. At Bell Laboratories, we set the standards for innovation and quality products in the rodent control industry. If you're interested in becoming a part of our team, we have excellent opportunities in all phases of the business. Bell Laboratories, Inc. offers a comprehensive benefits package with programs that are designed to fit the employee's individual needs. Different benefit plan packages are offered to employees in different employment classifications such as full-time or part-time positions. Our Human Resources staff can clarify this for you during the employment interview. Efficient operation of shipping warehouse to ensure highest quality and correct quantity of material shipped. Pull orders. Follow all special instructions on picking ticket. Must maintain a minimum of 99% accuracy. Complete all information on domestic picking tickets. Operate forklift and electric pallet truck. Do performance checks daily. Assist in the receiving of finished goods into stock and put away finished goods. 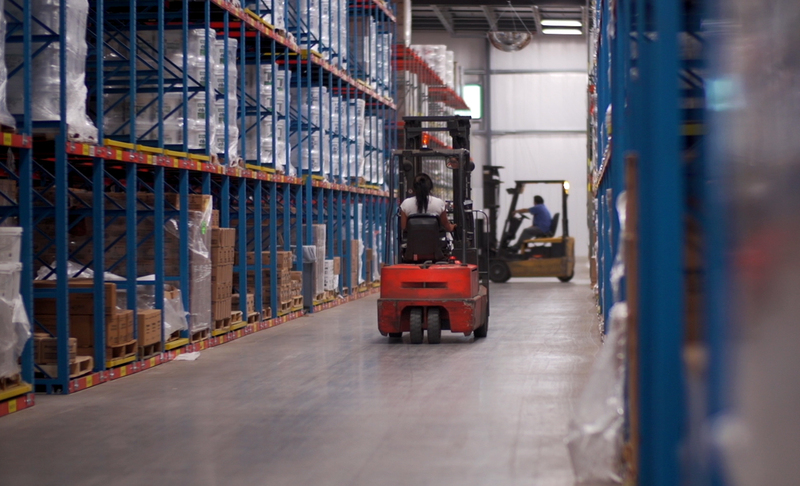 Minimum of 1-2 years previous forklift operation and warehouse experience required. Good organization, communication and basic math skills are required. Must have a solid attention to detail and be able to work with minimum supervision. Ability to lift up to 50 pounds frequently/100 pounds occasionally is required. Mandatory overtime may be required to meet shipment deadlines. Excellent attention to detail, manual dexterity, and ability to maintain speed in picking of parts is required. Basic Math skills are required. Flexibility, initiative and teamwork are required. Must be able to follow directions exactly, and be flexible in daily duties. Ability to lift up to 50 pounds and standing for 8 hours is required. Some manufacturing experience is preferred. The ideal candidate will be comfortable with routine work, have high standards of correctness and accuracy, and work best in an environment that offers positive direction and structure. Perform Auto Assembly Machine set-up and troubleshooting as required, and operate the production line in an efficient and productive manner. Anticipate packaging and product needs in advance to prevent downtime. Know daily production standards for the auto assembly machine and work to meet or exceed these standards on a daily basis. Ensure quality products are being produced by monitoring the production process from start to finish. Perform quality checks as required. Assist the production supervisor by acting as a team leader, coordinate the work of the Packer on the operator’s assigned line, and assist with training on the line. Assist maintenance, production and shipping departments with general tasks such as changing light bulbs, cleaning and all other duties as assigned by supervisor. Pick up all trash from parking lot and grounds. Bait and replace bait stations when needed. Mow, weed eat, blow leaves, fix fences, paint, water, pull weeds, plant flowers and any other assigned duties.